UGC conducts NET twice a year, i.e., in the months of June and December. The notifications announcing the June and December examinations are published in the months of March and September respectively in the weekly journal of nation-wide circulation, viz, Employment News. 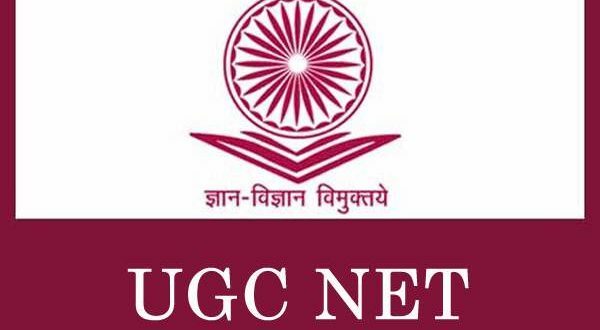 The result of June, UGC-NET is declared generally in the month of October. Similarly December, UGC-NET result is usually declared in the month of April. The UGC-NET results published in the Employment News are also available on UGC website. The NET in Major Science Subjects, viz., Chemical Sciences; Earth Atmospheric Ocean & Planetary Sciences; Life Sciences; Mathematical Sciences and Physical Sciences is conducted jointly with the Council of Scientific and Industrial Research (CSIR), New Delhi. The concerned notifications are issued separately by CSIR. 46 Adult Education/ Continuing Education/ Andragogy/ Non Formal Education. 73 Sanskrit traditional subjects (including) Jyotisha/Sidhanta Jyotish/ Navya Vyakarna/ Vyakarna/ Mimansa/ Navya Nyaya/ Sankhya Yoga/ Tulanatmaka Darsan/ Shukla Yajurveda/ Madhav Vedant/ Dharmasasta/ Sahitya/ Puranotihasa /Agama). 90 Politics including International Relations/International Studies including Defence/Strategic Studies, West Asian Studies, South East Asian Studies, African Studies, South Asian Studies, Soviet Studies, American Studies. Sanskrit traditional subjects (including) Jyotisha/Sidhanta Jyotish/ Navya Vyakarna/ Vyakarna/ Mimansa/ Navya Nyaya/ Sankhya Yoga/ Tulanatmaka Darsan/ Shukla Yajurveda/ Madhav Vedant/ Dharmasasta/ Sahitya/ Puranotihasa /Agama). Politics including International Relations/International Studies including Defence/Strategic Studies, West Asian Studies, South East Asian Studies, African Studies, South Asian Studies, Soviet Studies, American Studies. i. High School/Higher Secondary/Matriculation Certificate depicting date of birth. ii. Master's degree/Provisional Certificate. iii. Consolidated mark-sheet of Master's degree course. (Wherever grades are assigned, conversion table in terms of consolidated percentage may be produced from the issuing authority). iv. Caste certificate (only in case of SC/ST/OBC candidates) v. Certificate of Physical disability (only in case of Physically Handicapped and Visually Handicapped candidates). -> All certificate have to be attested by a gazetted officer with his/her official stamp bearing his/her name, designation and official address. It was felt that an eligibility test at the national level may not be completely able to represent the subjects which are regional in their character. Moreover, the demand for enabling the candidates to appear for the Test in their own mother tongue was also being made. The state governments and union territories were, therefore, given the option of conducting their own Test for eligibility for Lectureship at the state level. Thus was born the concept of SET, i.e., State Eligibility Test for Lectureship Eligibility only. It is conducted both in English and the vernacular. Accreditation of tests conducted by agencies other than UGC/CSIR. Monitoring of tests conducted by other agencies and suggesting follow-up measures. Extend guidance and help to State level agencies in the organization of the tests. Based on the recommendations made by U-CAT, the following guidelines are given to the states regarding test design, course content, organization of the test etc. for conducting State Eligibility Test (SET) for Lectureship only. In accordance with the mandate given by the Government of India, the University Grants Commission (UGC), on request of State Governments, proposed to have STATE ELIGIBILITY TEST (SET) duly accredited by UGC for a fixed term. This state level Test is based on the pattern of the National Eligibility Test (NET) conducted by UGC and UGC/CSIR for Humanities, Social Sciences and Sciences subjects respectively. The State Governments and Union Territories, which are desirous of conducting their own SET, are required to obtain accreditation from UGC from time to time. Besides conducting the NET, the role of the NET Bureau is to assess and accredit state identified agencies to conduct SET examination. The SET assessment is done by evaluating the performance of the state agency designated by the state government. The Certification of Accreditation is given to the state for a stipulated period of time. Identification of State Agency- A State Government may identify an agency, which may be a University, or an examination body of repute or a reputed agency associated with recruitment of teachers for higher education. The Commission constitutes an Accreditation Committee from time to time to assess the performance of the states conducting the SET Examination. The Commission takes a final decision about any state on the basis of the Report of the Committee. Clearing of NET confers eligibility for lectureship upon Indian nationals, i.e. the NET qualified candidates are eligible to apply for the post of lecturer in all Indian universities/Institutes/colleges. It was resolved in the UGC's Commission Meeting held on 1.11.2001 that commencing from the SET examinations scheduled in or after June, 2002, the SET qualified candidates shall be eligible for appointment to the post of lecturer only in the universities/colleges belonging to the state from where they have passed the SET examination. The status of SET shall remain unchanged for SET examinations conducted prior to 1st June, 2002, that is, the candidates clearing SET were eligible for appointment to the post of lecturer anywhere in India. The candidates who qualify the Junior Research Fellowship (JRF) Examination of UGC/CSIR NET are also eligible for the post of lectureship. In addition they are also eligible to receive Fellowships (UGC/CSIR) under various schemes subject to the candidates finding their placement in the universities/IITs/other national organizations. The validity of the offer is two years w.e.f. the date of issue of JRF award letter. The validity period of the offer has been raised from one year to two years for JRF Award Letters issued on or after 1st April, 2005. However, in case the candidates have already joined M.Phil. /Ph.D., the date of commencement of fellowship will be from the date of declaration of NET examination result or date of their joining, whichever is later. From ancient Bharat to modern India, higher education has always occupied a place of prominence in Indian history. In ancient times, Nalanda, Taxila and Vikramsila universities were renowned seats of higher learning, attracting students not only from all over the country but from far off countries like Korea, China, Burma (now Myanmar), Ceylon (now Sri Lanka), Tibet and Nepal. Today, India manages one of the largest higher education systems in the world*. The present system of higher education dates back to Mountstuart Elphinstone's minutes of 1823, which stressed on the need for establishing schools for teaching English and the European sciences. Later, Lord Macaulay, in his minutes of 1835, advocated "efforts to make natives of the country thoroughly good English scholars". Sir Charles Wood's Dispatch of 1854, famously known as the ' Magna Carta of English Education in India', recommended creating a properly articulated scheme of education from the primary school to the university. It sought to encourage indigenous education and planned the formulation of a coherent policy of education. Subsequently, the universities of Calcutta, Bombay (now Mumbai) and Madras were set up in 1857, followed by the university of Allahabad in 1887. The Inter-University Board (later known as the Association of Indian Universities) was established in 1925 to promote university activities, by sharing information and cooperation in the field of education, culture, sports and allied areas. ersities of Aligarh, Banarasand Delhi. In 1947, the Committee was entrusted with the responsibility of dealing with all the then existing Universities. Soon after Independence, the University Education Commission was set up in 1948 under the Chairmanship of Dr. S Radhakrishnan "to report on Indian university education and suggest improvements and extensions that might be desirable to suit the present and future needs and aspirations of the country". It recommended that the University Grants Committee be reconstituted on the general model of the University Grants Commission of the United Kingdom with a full-time Chairman and other members to be appointed from amongst educationists of repute. In 1952, the Union Government decided that all cases pertaining to the allocation of grants-in-aid from public funds to the Central Universities and other Universities and Institutions of higher learning might be referred to the University Grants Commission. Consequently, the University Grants Commission (UGC) was formally inaugurated by late Shri Maulana Abul Kalam Azad, the then Minister of Education, Natural Resources and Scientific Research on 28 December 1953. The UGC, however, was formally established only in November 1956 as a statutory body of the Government of India through an Act of Parliament for the coordination, determination and maintenance of standards of university education in India. In order to ensure effective region-wise coverage throughout the country, the UGC has decentralised its operations by setting up six regional centres at Pune, Hyderabad, Kolkata, Bhopal, Guwahati and Bangalore. The head office of the UGC is located at Bahadur Shah Zafar Marg in New Delhi, with two additional bureaus operating from 35, Feroze Shah Road and the South Campus of University of Delhi as well. The UGC has the unique distinction of being the only grant-giving agency in the country which has been vested with two responsibilities: that of providing funds and that of coordination, determination and maintenance of standards in institutions of higher education. Framing regulations on minimum standards of education. This publication has been printed under the direction and control of UGC and the Govt. of India shall not be deemed responsible for the material reproduced in this copy of the UGC Act, 1956 and Rules and Regulations under the Act, which is strictly meant for official use and shall not be used for commercial purpose. The test for Junior Research Fellowship is being conducted since 1984. The Government of India, through its notification dated 22nd July, 1988 entrusted the task of conducting the eligibility test for lectureship to UGC. Consequently, UGC conducted the first National Eligibility Test, common to both eligibility for Lectureship and Junior Research Fellowship in two parts, that is, in December 1989 and in March , 1990. As such the number of candidates who would qualify in the future NET Examinations is likely to increase. Section Queries About Contact No.